The world’s first inexpensive and Earth-abundant catalytic system for disintegrating CO2 into oxygen and CO has been developed by Researchers at EPFL. This is considered to be a significant step in accomplishing the transformation of renewable energy into hydrocarbon fuels. Storing renewable energy in the form of carbon-based fuels synthesized from renewable sources is a propitious route for the prospective use of clean energy in the future, such as clean use of liquid fuels like gasoline. The initial step in this process is electrolysis of CO2 into CO and oxygen, which can be later converted into liquid fuels. However, the CO-forming catalysts used at present are very costly for industrial usage and are not adequately selective. At present, Researchers at EPFL have created an Earth-abundant catalyst by modifying copper-oxide nanowires with tin oxide. A solar-driven system developed by applying this catalyst could disintegrate CO2 at an efficiency of 13.4%. The outcomes of the research have been reported in the journal Nature Energy. 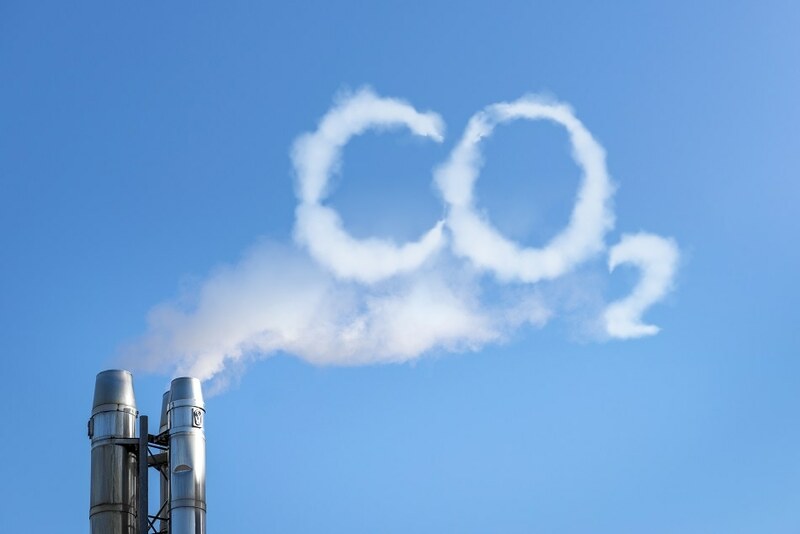 The study is anticipated to assist in the global attempts to synthetically synthesize carbon-based fuels from water and CO2. The study was performed at Michael Grätzel’s lab at EPFL. Grätzel is famous globally for inventing dye-sensitized solar cells, also known as “Grätzel cells.” The new catalyst, synthesized by Marcel Schreier, PhD Student; Jingshan Luo, Postdoc and other colleagues is produced by the deposition tin oxide atomic layers on copper oxide nanowires. Tin oxide prevents the formation of byproducts that are generally produced in the case of copper oxide catalysts, thus ending up in the individual synthesis of CO during electroreduction of CO2. A CO2 photo-electrolyzer was formed by introducing the catalyst into a CO2 electrolysis system and linking it to a triple-junction (i.e. GaInP/GaInAs/Ge) solar cell. Importantly, the system uses the same catalyst as the cathode that reduces CO2 to CO and the anode that oxidizes water to oxygen through the so-called “oxygen evolution reaction.” A bipolar membrane separates the gases. As the system uses just Earth-abundant materials for catalyzing both the reactions, it is very inexpensive. Using solar energy, the system could selectively transform CO2 to CO at an efficiency of 13.4%. In addition, the catalyst attained a Faradaic efficiency of nearly 90%, which indicates the high efficiency with which the electrical charge is conveyed to the selected product in an electrocatalysis system such as the one created in this study. “The work sets a new benchmark for solar-driven CO2 reduction,” stated Luo. This is the first time that such a bi-functional and low-cost catalyst is demonstrated. Very few catalysts—except expensive ones, like gold and silver—can selectively transform CO2 to CO in water, which is crucial for industrial applications. This study was performed in cooperation with Jeremy Luterbacher’s Laboratory of Sustainable and Catalytic Processing at EPFL. Siemens AG as well as a Marie Skłodowska-Curie Fellowship from the European Union’s Seventh Framework Programme funded the study. Abengoa Research in Spain also contribution to the research.